There are currently some really odd petitions that go before the White House on their petitions page. The only thing that has held true since this petition system was created is that nothing ever happens, no matter how many “people” sign the online petition, unless it’s politically expedient to make a speech about it. Then a speech is made, and the petition is quickly forgotten. 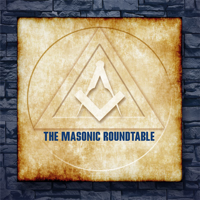 The Masonic Roundtable is a weekly panel of Masons started in February, 2014. They come from around the United States and discuss the latest and greatest in Masonic news, events, scholarship, and happenings. Bro. Jon T. Ruark, Past Master of The Patriot Lodge No. 1957 in Fairfax, VA.
Bro. Jason Richards, an officer in Acacia Lodge No. 16 in Clifton, VA.
Bro. Juan Sepulveda, member of Eola Lodge No. 207 F. & A.M. in Orlando, FL. Bro. Nick Johnson, Past Master of Corinthian Lodge No. 67 in Farmington, MN. Bro. Robert Johnson, an officer in Waukegan Lodge #78. 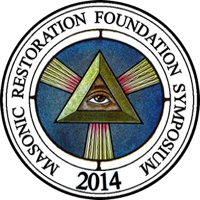 The Fifth Annual Masonic Restoration Foundation Symposium will be held at the Cincinnati Masonic Center on August 15 – 17, 2014. This national symposium will feature speakers and workshops focused on enabling Masons and Lodges to improve their Masonic experience. This year’s Symposium will be jointly hosted by four Lodges: Lodge Vitruvian No. 767 (IN), Caliburn Lodge No. 785 (OH), Arts & Sciences Lodge No. 792 (OH) and Lodge Ad Lucem No. 812 (PA). They represent the full spectrum of observant Lodges – from European Concept to Traditional Observance. The support of the Grand Lodge of Ohio and the Scottish Rite Valley of Cincinnati are gratefully acknowledged! A 2,000 year-old chisel found last year by the Israeli Antiquities Authority (IAA) may have been used during Second Temple period to construct Western Wall. 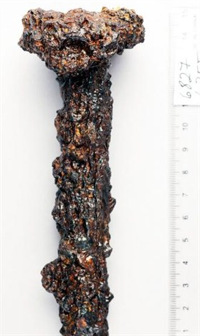 The Israel Antiquities Authority said that while the chisel was unearthed last year, it is waiting for research on it to be completed before issuing an official announcement on the discovery. 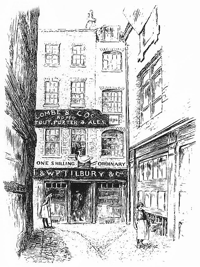 “The chisel itself was found inside rubble of stone chips that fell from the stonemasons working on the rocks comprising the Western Wall,” he added. Additional findings by the same team of archeologists include cooking utensils, weapons from the Roman empire, and a golden bell that could have been used by priests in the temple.